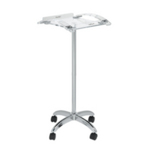 Direct Salon Supplies Acrylic Tinting Stand. 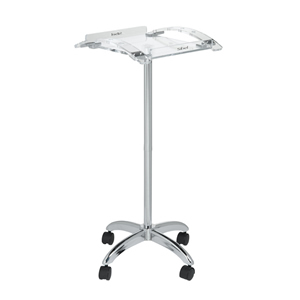 Modern light-weight hand finished tinting trolley with three holes on each side for tinting brushes. Sizes: Height 90cm, Width 40cm, Depth 40cm.